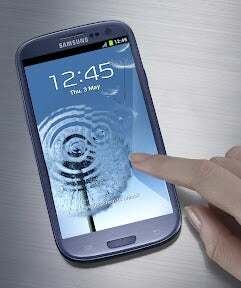 Consumers who want to be among the first in the U.S. to own Samsung’s Galaxy S III smartphone on June 1 will pay a steep price. Amazon is now taking U.S. pre-orders for the flagship Android device and bitter iPhone rival for $800 unlocked, but the price tag is not the only thing you should be wary of. Samsung and U.S. wireless carriers are yet to announce their versions of the Galaxy S III, which usually vary from one another both internally and externally. So what you will be getting for $800 is the 16GB SIM-free international version of the S III (blue or white), also known as GT-i9300, with a huge 4.8-inch display, 1GB of RAM, an 8-megapixel camera, and Android 4.0 with a lot of Samsung software goodies. However, using the Samsung Galaxy S III GT-i9300 in the U.S. means you will have to accept some compromises. The model does not have 4G LTE connectivity, unlike many Android phones currently sold by carriers. Thus, the GT-i9300 can only connect to AT&T’s HSPA+ network. On T-Mobile the phone would be able to make calls, but won’t be able to connect to high-speed data as the GT-i9300 lacks support for T-Mobile’s 1700MHz band. Needless to say, the phone won’t work on Verizon and Sprint. What you do get for the $800 price tag with the S III though is the quad-core 1.4 GHz Exynos processor. It’s not known whether the processor will make it to U.S. versions of the phone; there is no 4G LTE version of the processor, so the carrier-customized Galaxy S IIIs are expected to use a dual-core chip instead, like the Snapdragon S4, which has LTE support. So unless you don’t mind not having 4G LTE connectivity, using AT&T’s network, and you have $800 to shell out, the Galaxy S III should be with you in a couple of weeks. But you would be better off waiting for the U.S. carrier-customized versions of the device, which although they won’t have the same processor, they’ll likely cost you at least $500 less upfront with a contract, and they can blaze at 4G LTE speeds.